They’re fascinating, these one-armed beasts that lift tons with ease. You hold your breath as you watch a skilled crane operator carefully maneuver loads to just the precise spot desired, often with other workers standing only a few feet away. Cranes intrigue people. In Wisconsin, a man was taken in by police after he climbed a nine-story construction crane to take a selfie. They’re a magnet for animals, too. In Toronto, a crane operator 700 feet up was confronted by a raccoon, who had somehow climbed up a ladder. After a heated hissing match, the operator managed to drive the raccoon back down. 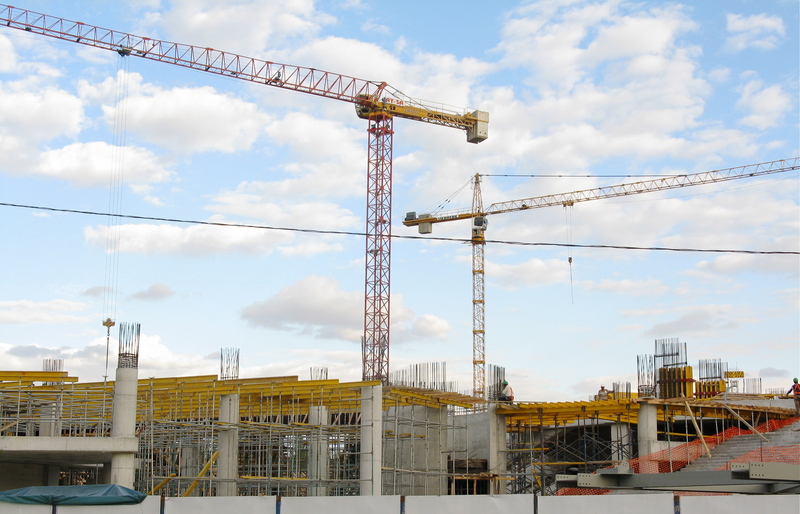 Crane operators have to deal with sometimes chaotic work sites, the stress of having to be alert all day, and high winds buffeting the delicately balanced equipment. Occasionally cranes collapse due to mechanical failure. In London, a crane was hit by a helicopter. A big use of cranes is to load or empty container ships. These cranes at the Port of Oakland handle enormous numbers of the big metal boxes. The port is viewed here in 2015 from San Francisco’s Pier Seven. 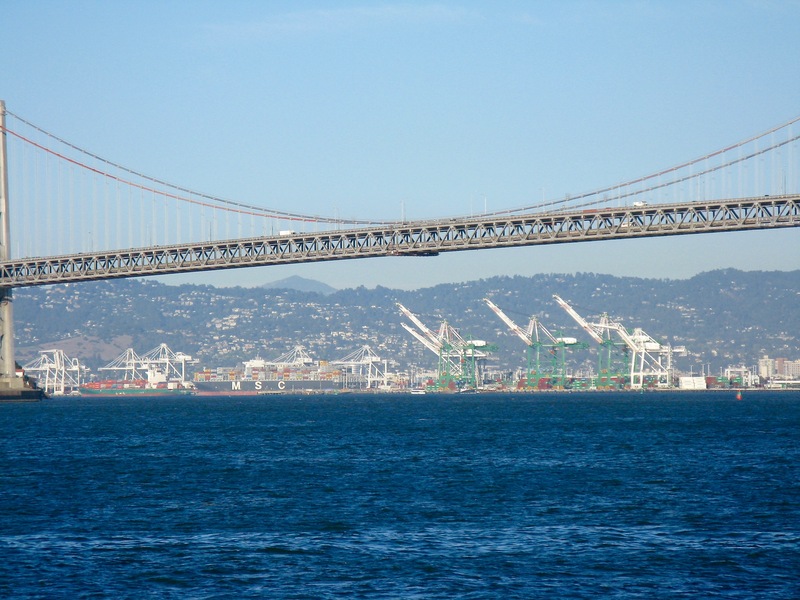 Views, below, from the Bay Bridge in 2009 of the Port of Oakland’s crane operations. 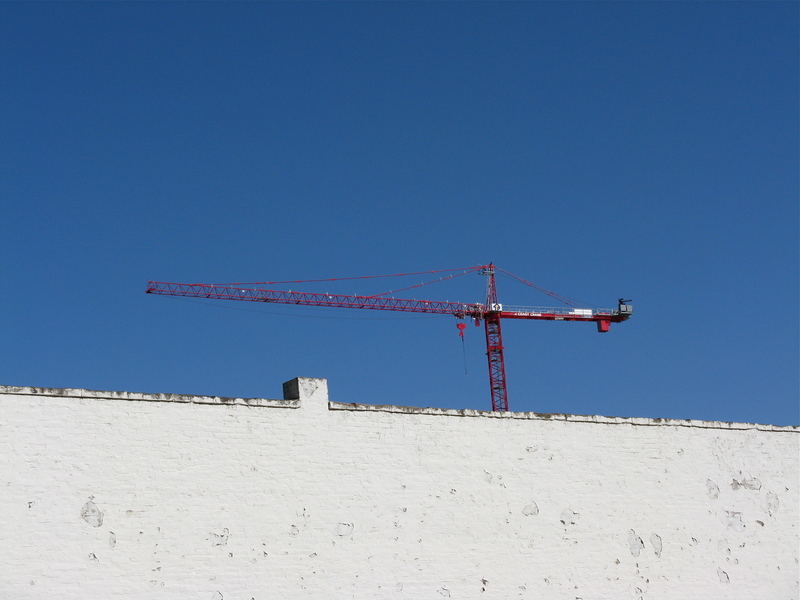 The crane below was working during an upgrade in 2011 at Sutter’s Fort in Sacramento. Quite a contrast with the exhibits there that tell about daily life before the Gold Rush. It’s a worldwide phenomenon, everywhere from China to London to South America, as the global economy creates demand for new construction. The site below is a 2009 building project in Ankara, the capital of Turkey. 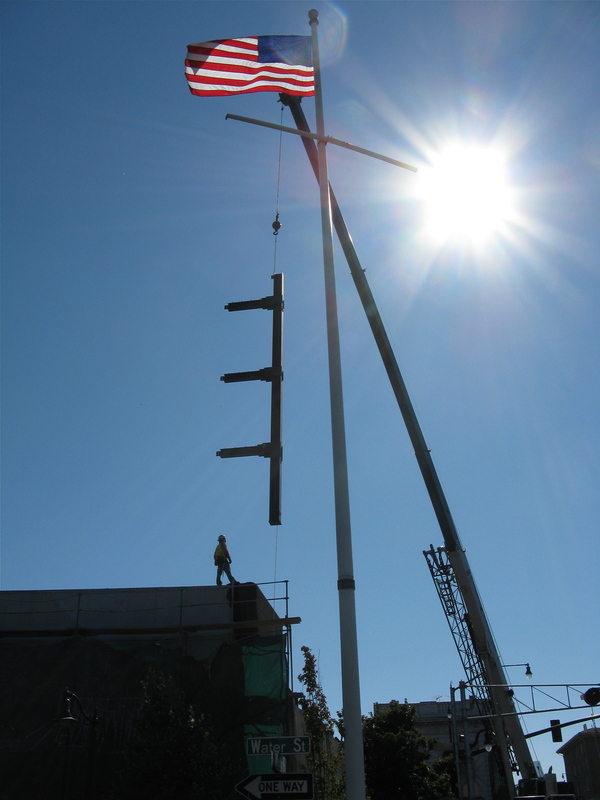 Another construction job, this time in Petaluma, California, in 2010. Personal challenges for crane workers include the long hours, and frequent travel to distant job sites, such as the North Slope of Alaska, which limit their time with families. Sometimes an older crane can be very noisy. And working in rain is difficult – it’s harder to see what’s going on below, and even if you are wearing rain gear you can still get soaked. But there’s a lot to like about the job, too. You’re not in an office, there’s a lot of variety, the pay’s pretty good, and there’s the satisfaction of driving past buildings and bridges you helped build. Tags: Ankara, crane, Petaluma, Port of Oakland, Sacramento, Sutter's Fort. Bookmark the permalink.